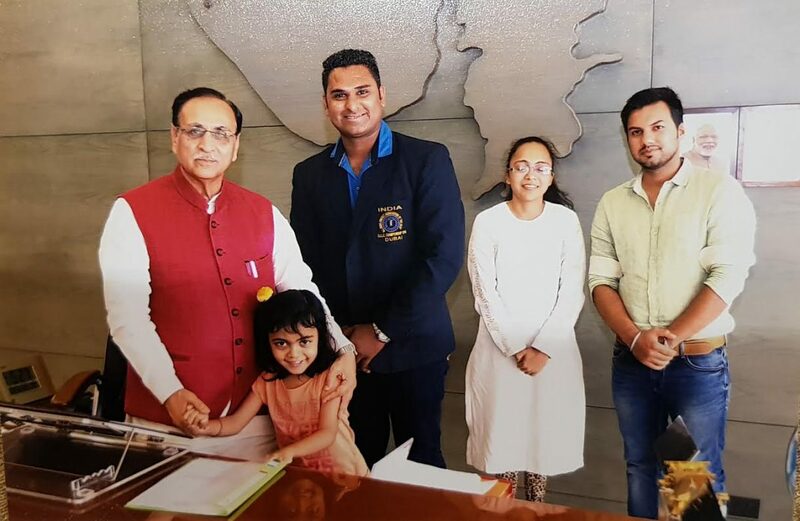 It’s a dream comes true for Imran Shaikh the captain of Indian Deaf and Mute cricket team when he met CM Vijay Rupani and put forward his proposal for starting a cricket coaching academy for the deaf and mute cricketers. The meeting is the part of initiative ‘Sapne Hue Roshan’ started by a popular radio station in Vadodara. Imran Shaikh who came into limelight after his performance in winning the world cup for the country and later when he started a food stall in Vadodara to earn his living. The talented cricketer is passionate about the game and always dream of a cricket academy for cricketers like him. However he never knows that his dream will be fulfil soon as the CM Vijay Rupani gives his positive response towards the proposal. Imran Shaikh approached the radio station during their initiative and the RJ takes it further and arranged the meeting with the CM of Gujarat. “After lots of effort we finally arranged a meeting where Imran met CM Vijay Rupani and present his desire to open a cricket academy in front of him. It’s a happy moment for both as Imran Shaikh fulfil his dream to meet the CM and we make it happen as part of our initiative,” said RJ Roshan. Imran Shaikh who cannot speak showed his happiness through his sign language and hopes his dream of opening a cricket academy for the deaf and mute in Vadodara soon. “He was very happy when he met the Gujarat CM Vijay Rupani and presents before him the dream to open a cricket academy for the mute and deaf in Vadodara. The CM gives a positive response for the proposal and we hope to start the cricket academy soon which will the first in India specially for deaf and mute cricketers like him. He always wants to open the academy for the players like him as when he started playing cricket he himself went through many problems and don’t want that the players of today will have the same fate,” said Roza wife of Imran Shaikh.